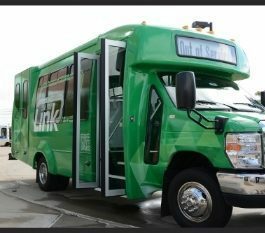 The City of Lone Tree entered into a public private partnership with three local employers to create a free shuttle service that connects major employment hubs with healthcare facilities, retail, and mass transportation stations. The service runs every 10 minutes from 6am-7pm Monday-Friday and saw 27,000 boardings in the first six months of operation. In the April 2017 Regional Transportation District (RTD) Board of Directors Report the cost per ride of the Lone Tree shuttle service is estimated at $6.50/ride. The service costs about $524,000 to operate and averages 320 riders per day, or 160 employee two way trips, representing approximately two percent of the total employees along the shuttle service route.